Two attempts at the 60 and like it more and more – this third time I am really loving it. Same story with the 61 in fact – I liked it the first time but even better this second time. Two classic Sanlucar wines that come from the same bodega and share so much: intense and rich in flavour, with mineral sharpness, elegance and freshness. 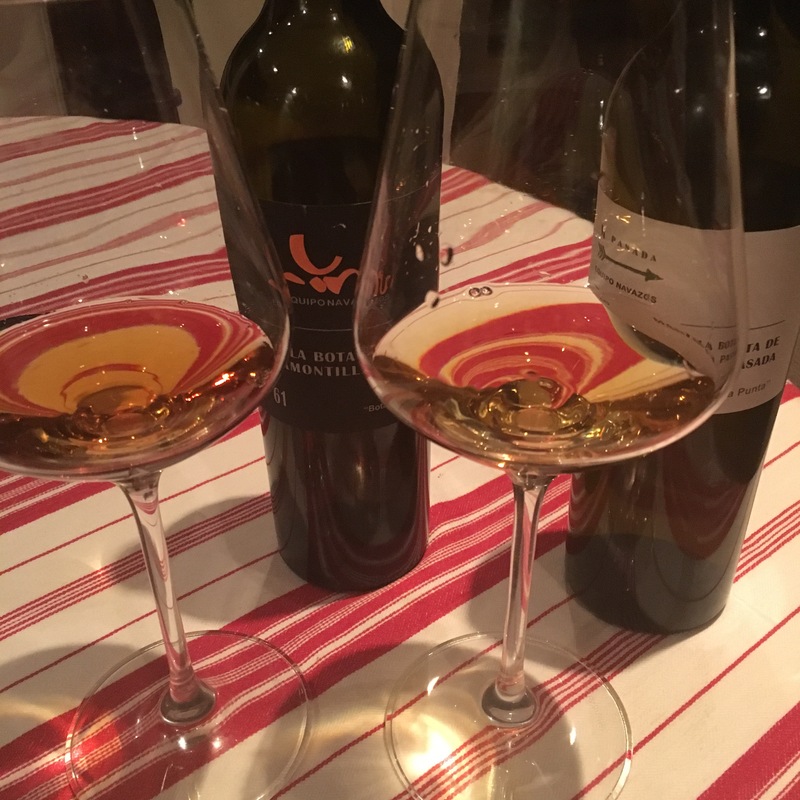 But while the older amontillado is bitter, fierce and acidic, with flavours of tobacco and wood, the manzanilla pasada is smooth, has that illusion of fruit and and big yeasty, haybales and bread. If you want to appreciate that difference in styles these two magnificent wines are a great place to look for it.